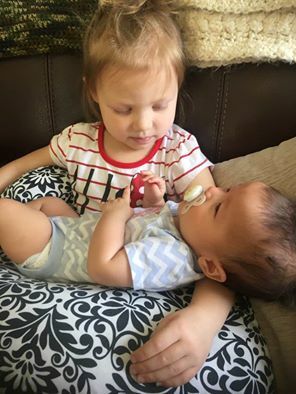 My daughter really has such a lovely way with babies & smaller children. She is very gentle, protective and nurturing. It is very sweet. She behaves this way with her dolls as well. She pretends they are sick and takes their temperatures. She feeds them, reads to them, even pretends to load them in their cars seats. It is wonderful to watch & listen to. She found an old doll while cleaning out her toys the other day. 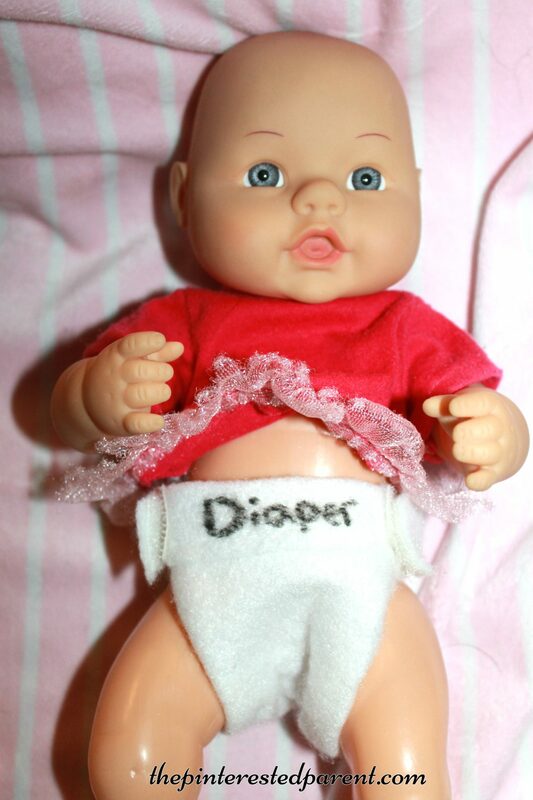 It is one of those dolls that wets itself if you squeeze its belly. My daughter, of course, needed to make sure that she cleaned up her wet baby and asked me for something to use as a diaper. 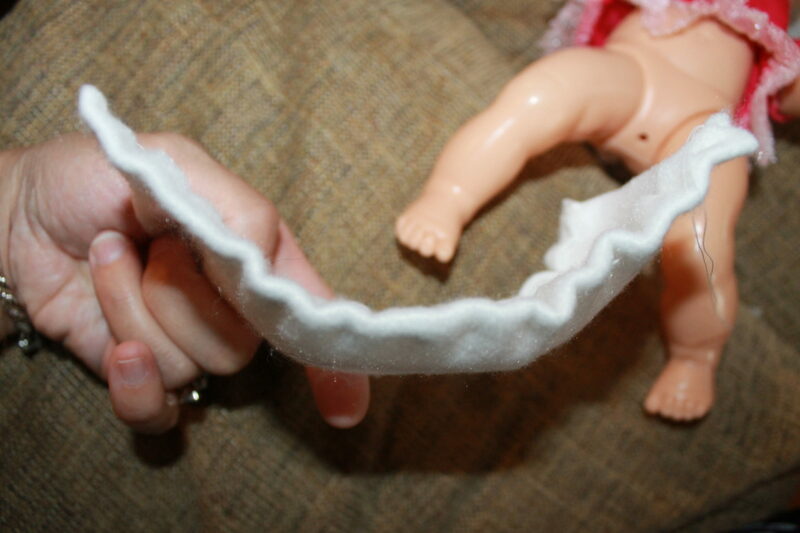 I am not much of a seamstress, but I thought that I could make her some cloth diapers with Velcro tabs. I had a little bit of felt and thought this would be perfect for her diapers. Again, I am not a seamstress, but I was pretty excited about how these came out & so was my girl. 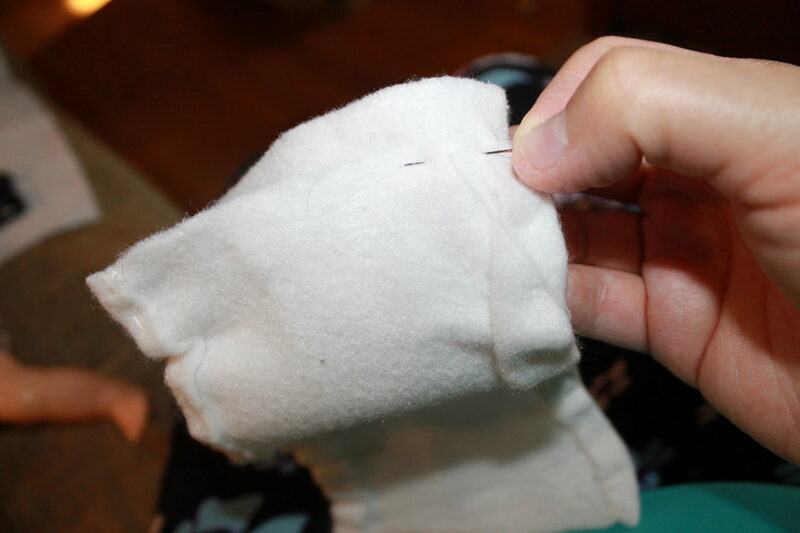 I measured out a piece of felt by holding it under the doll to see how big I would need to make it. I cut the felt into a rectangle that slightly flared at each end. I folded the long edge on both sides of the diaper and then sewed both edges & pulled the thread snugly so that they gathered just a little. Then I folded in the edges again, but this time only sewed the center portion so that the diaper had a sort of hour-glass shape. 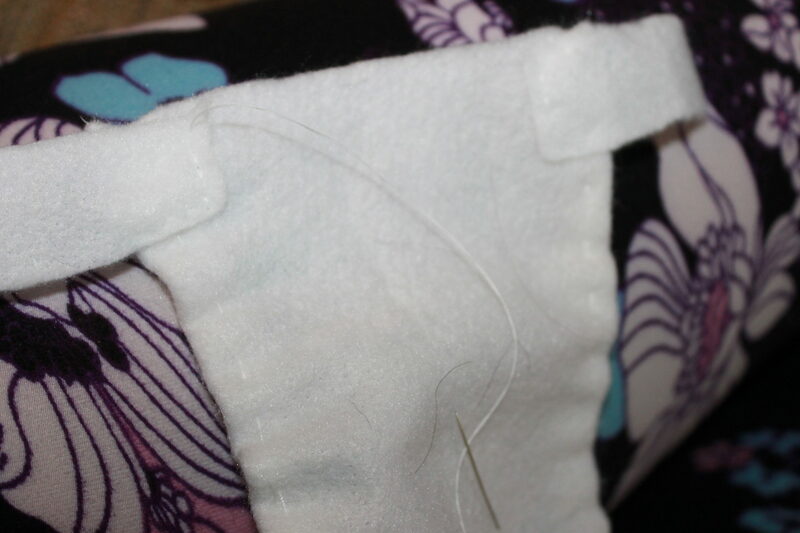 I cut a tab to sew along the front edge of the diaper. 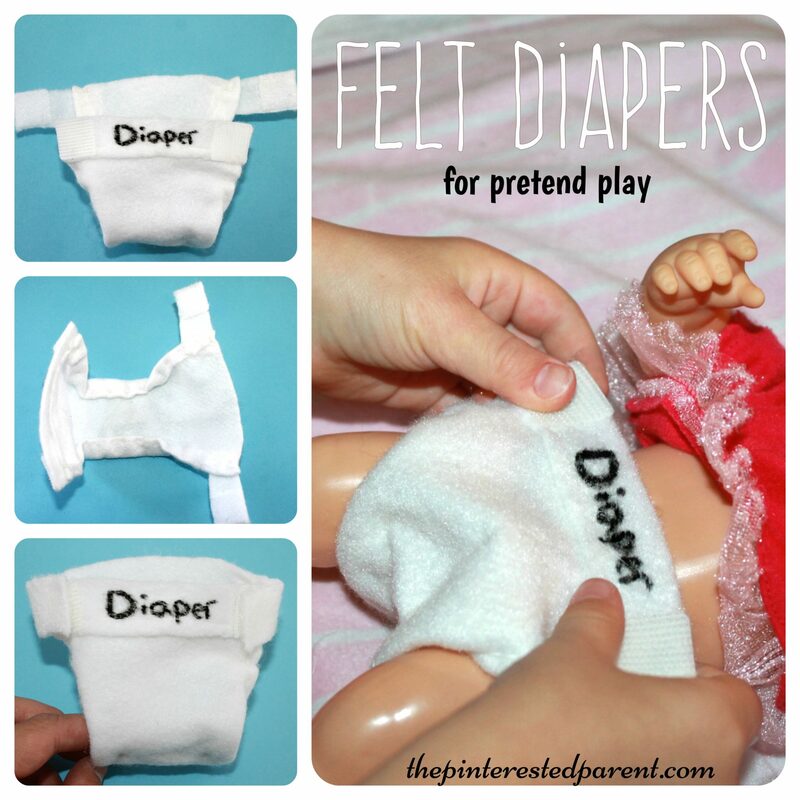 I sewed the tab into place & then used a fabric marker & wrote the word diaper across it. 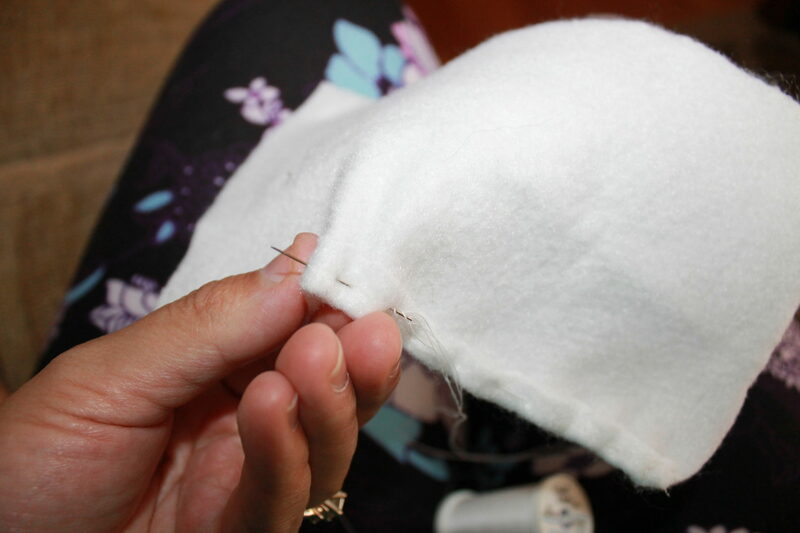 I sewed two tabs to the upper sides of the back-end of the diaper. 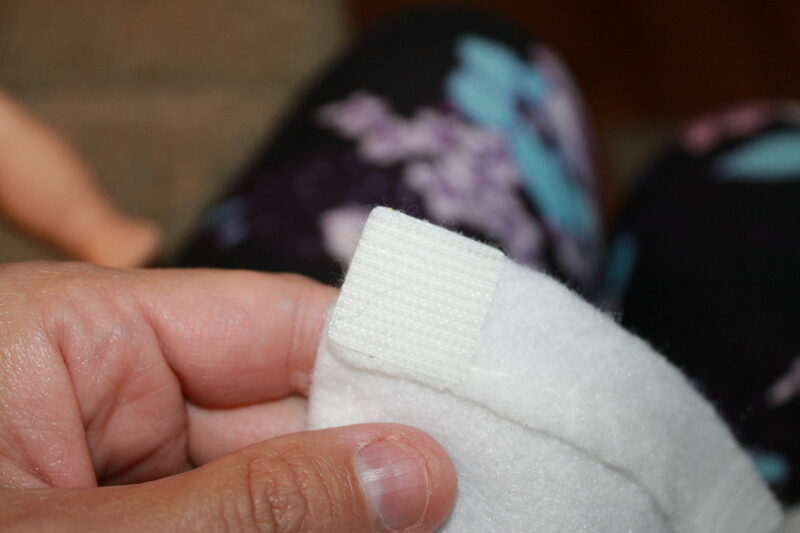 I stuck Velcro to each tab & then added the coordinating Velcro pieces to the edges of the front tab that says Diaper. 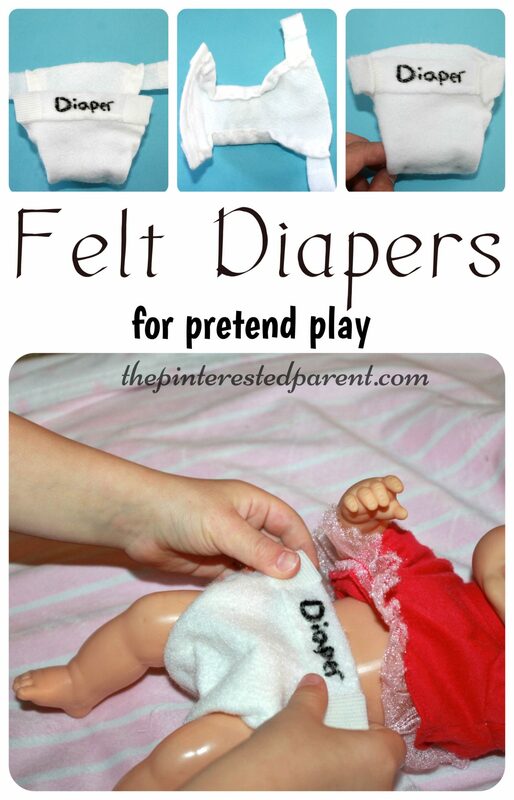 I showed my daughter how to use the diaper & let her play. She even asked me to make more, so that she could change all her dollies.